Today’s Friday photo is of the Selly Oak institute on the Bristol road. 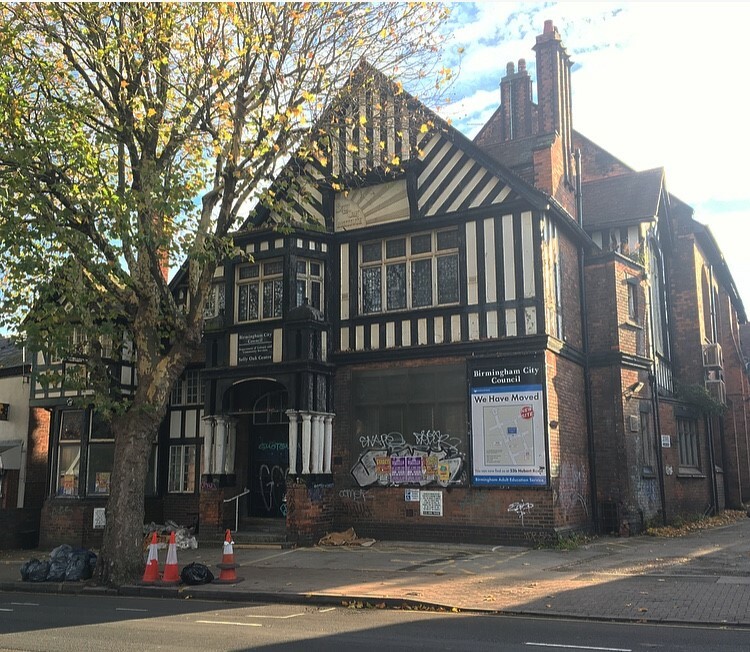 Now looking rather neglected, the grade II mock timber frame building was opened by George Cadbury in 1894, having been gifted to the working community by the Cadbury family for educational use. Over the years the institute has been host to many different clubs, groups and courses. It now no longer houses the adult education classes it did in recent years, which have been relocated, and the buildings future now seems uncertain.